When Dave Ratner speaks to small-business owners — something he does often — he will inevitably touch on some of the highlights from his intriguing, 40-year career selling soda and pet food, during which he has made his first name and face into a nationally known brand. And there are many such highlights, from his success in retail (he now has seven Dave’s Soda & Pet City stores in Western Mass. and Northern Conn.) to his triumphs in wholesaling, specifically the introduction and then rapid expansion of his lines of dog and cat food, to his highly regarded marketing initiatives. But Ratner says he spends much more of his time at the podium talking about what hasn’t gone right with his various business endeavors. Like the store he opened on Allen and Cooley streets in Springfield, which closed roughly a year after it opened in 1995 because of what he called “miscalculations” and bad timing. Then there was an ill-fated e-commerce venture, a four-year experiment that failed because, in essence, he entered a game without fully understanding how it’s played. It is by relating these failures and others and the reasons behind them that Ratner believes he can most effectively get across his points about how to succeed in business, something he’s becoming noted for as much as his stores, products, and TV spots. Indeed, he speaks to various trade groups — he recently addressed the Billiard Hall Owners Assoc., for example — and business organizations on a fairly regular basis. The audience and subject matter varies, but he’s often addressing retailers, and a common theme is advising little guys on how to beat the big guys. Meanwhile, some of his more recent blog posts — such as “Good Boss or Good Leader? Business Owners Should Learn the Difference Between the Two and How to Be Both,” “Your Attitude Goes a Long Way in Business: Changing Your Mindset Can Mean a Positive Impact for Your Store,” “Not So Fast: Before Pulling a Product off the Shelf, Think About the Total Picture,” and “The Learning Never Stops: Going to Trade Shows and Conventions Can Help Retailers Move Their Business Forward” — are clearly aimed at that constituency. 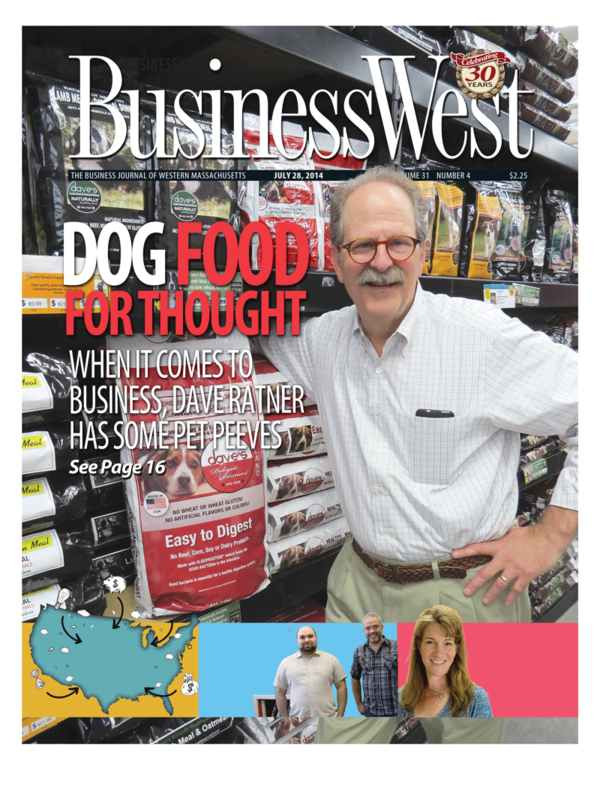 Overall, Ratner told BusinessWest that there are many mistakes that entrepreneurs will make — everything from not having enough money when they launch a venture to letting their ego get in the way of smart decisions, to not having what he called a “damage-control policy” in place. Elaborating, he said business owners and managers generally tend to forget about “Mr. Murphy,” the individual whose name is attached to a law — the one about how everything that can go wrong will. And this will invariably lead to trouble, especially when it comes to money and cash flow. 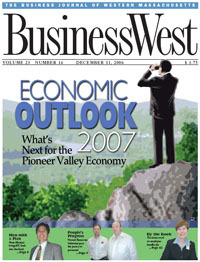 For this issue and its focus on entrepreneurship, BusinessWest talked at length with Ratner about his career in business, but also about how he’s devoting a good deal of his time and energy to advising others on how to use their head and not their heart and thus avoid making the critical mistakes that often mean the difference between success and failure. 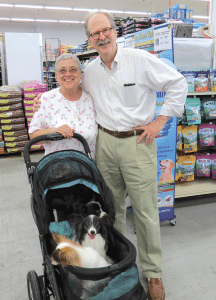 Dave Ratner takes a moment to meet and photograph a regular and her dogs, one of the many ways he tries to make an emotional connection to customers. It’s probably safe to say that few people living and doing business in this region don’t know Ratner’s story. It’s pretty much common knowledge that he flunked out of Babson College between his sophomore and junior years, only to later return and get his degree, and, not long after graduating, borrowed $5,000 from his father to open a Soda City store on Route 9 in Hadley. That’s the name his father, Harold, gave to a venture he started in 1972 after his career as a distributor for Clicquot Club soda came to an abrupt end when the company decided to sell direct to retailers. Ratner made it clear that, while his father provided some seed money, this was a separate enterprise he could call his own. It’s also well-known that, roughly a year or so after starting that venture, he bought a puppy, an acquisition that took him to the pet-food aisle at the supermarket, where he learned there was much more to sell there than in the carbonated-beverages aisle, a realization that started him down the road to selling two totally different product categories out of the same building. The past 37 years or so have been spent expanding the enterprise in several directions, making Dave’s a household name — in this market, but also others — and, for the most part, anyway, practicing what he preaches when it comes to running a successful business and beating those aforementioned big guys. Ratner’s been doing all that throughout his career, with his stores, his marketing (it’s his voice you hear in the radio ads), and a weekly television show called simply Dave’s Pet Show, which has been running on Fox for more than two decades, as well as a hands-on attitude in his stores. 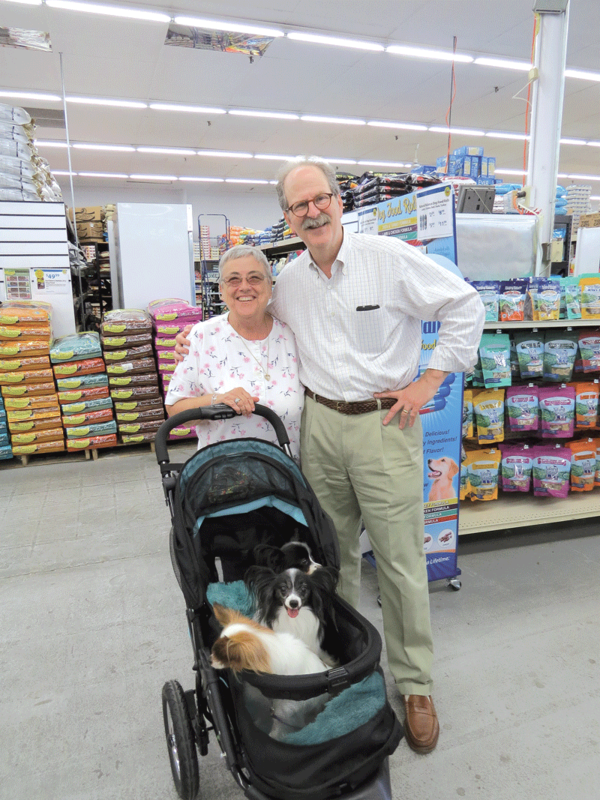 For example, on the day he spoke with BusinessWest at his flagship store in Agawam, Ratner could be seen helping customers unload their huge bags of dog food into their cars and taking photos of the canines that his regulars bring into the store with them when doing their shopping. And he’s taken this emotional relationship to an even higher level with his lines of pet food, which he started introducing nearly 20 years ago and wholesaling five years ago. It’s the entrepreneurial gambit that appears to have the most potential — it’s generating close to the same amount of revenue as his retail operation, and he believes it will soon surpass it — and the one he’s easily most proud of. His products are now being sold in 40 states and by more than 3,000 independent retailers, he said, adding that beyond those numbers is the great sense of satisfaction that comes with knowing what they mean. While perhaps not as satisfying as his pet food, Ratner’s seminars, lectures, blogs, and other vehicles for sharing knowledge and lessons with small-business owners remain a big part of who he is. 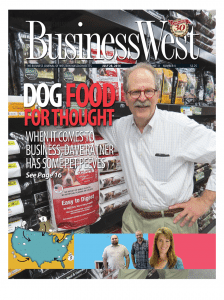 He told BusinessWest that he’s learned a great deal from his own experiences and also from mentors ranging from his father to Al White, founder of A.O. White, who hired him for a few summers when he was in high school, to Ken Abrams, president of the FoodMart chain of supermarkets that once operated in the region. And he enjoys sharing these lessons, as well as myriad others he’s learned through relationships forged from his membership in the Young Presidents Organization as well as his work with the National Retailers Federation. There are many such lessons he said, starting with making sure you have enough money when you launch a business and understanding that Murphy’s Law will apply to your venture. Entrepreneurs must also create a reason for people to do business with them “unless they’re inventing something revolutionary,” he went on. And they need to have that devil’s advocate there, not only to ask the hard questions, but to make sure that they’re answered sufficiently. Ratner said he’s had to learn some of these lessons himself the hard way. Indeed, he said he didn’t have enough money to keep the Allen and Cooley location open during a year when he said everything went wrong for retailers, and especially those selling pet food. 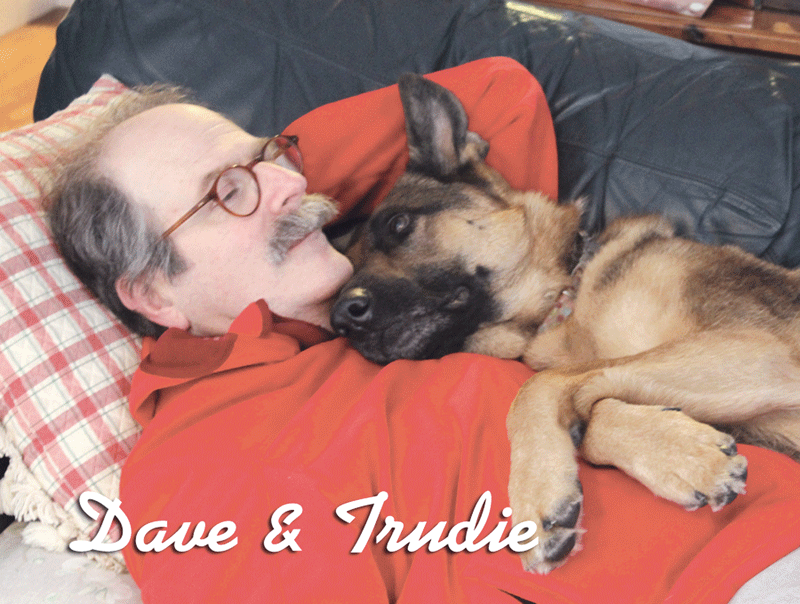 Dave’s new pet food label also features his German shepherd, Trudie. Using hindsight, he said that, if he had more money at his disposal, he probably could have weathered the storms, literally and figuratively, and outlasted Mr. Murphy. He acknowledged that a devil’s advocate couldn’t have helped him when it came to meteorology or calculating the impact of Nintendo on hamster sales, but in general, they can help entrepreneurs anticipate and navigate various forms of whitewater. And they can help them understand their limitations and avoid costly missteps, such as Ratner’s foray into e-commerce. “On the Internet, it’s all about ‘who’s got the best price; who’s got the best deal?’” he explained, adding that distribution is also a huge factor and one that ultimately kept him from effectively competing with Amazon and other huge sites. Knowing one’s limitations is an important quality for business owners, he stressed, as is the related ability to keep one’s ego in check. “The smartest, best business people in the world are those who hire the best people, those who can do the things they can’t,” he explained. “I have the best controller in the world — he’s phenomenal; I flunked accounting. “Another thing that gets entrepreneurs in trouble is ego — there’s no place for ego in business,” he went on. “People have to listen, watch, learn, and never believe they know everything, because they don’t. But perhaps the most important trait a successful business must possess, he said, is the ability to take a vision and make it permeate a company. To get that point across, he relayed a conversation he had with Mindy Grossman, CEO of Home Shopping Network, that took place as HSN mulled adding Dave’s pet-food products to the list of items it sold. “I asked her how she competed with QVC, because QVC is twice as big as she is, and she said, ‘QVC is very transactional, and we try to develop an emotional relationship with our customers,’” he explained, noting that, not coincidentally, she used the same language he has employed for decades. When asked if had — or still has — any plans to perhaps take his chain of stores to a regional or even national stage, Ratner offered a hearty laugh and then some deep introspection. “You know, I’m just a classic small-town businessman — there’s guys like me in every town,” he said. “I don’t have the brains to go and become a national company; I don’t have the skill set. Perhaps, but there’s no debating that Ratner has scripted an intriguing entrepreneurial success story, and is still writing new chapters. In the meantime, he’s also making a name for himself helping others become successful small-town businessmen and women.